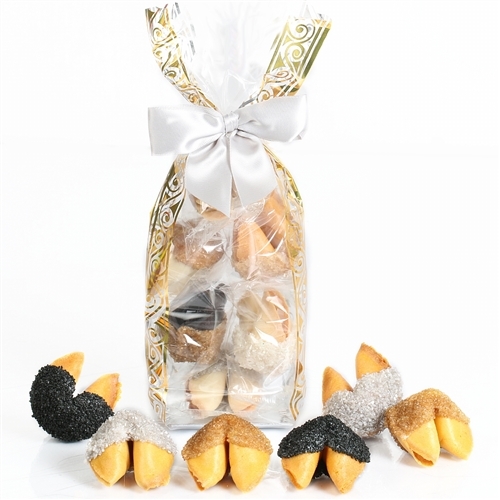 These elegant bags of six classic vanilla fortune cookies make great gifts or party favors. Each cello bag is tied with a pretty bow and contains six chocolate dipped cookies covered in gold, silver or black onyx bling candy sprinkles. 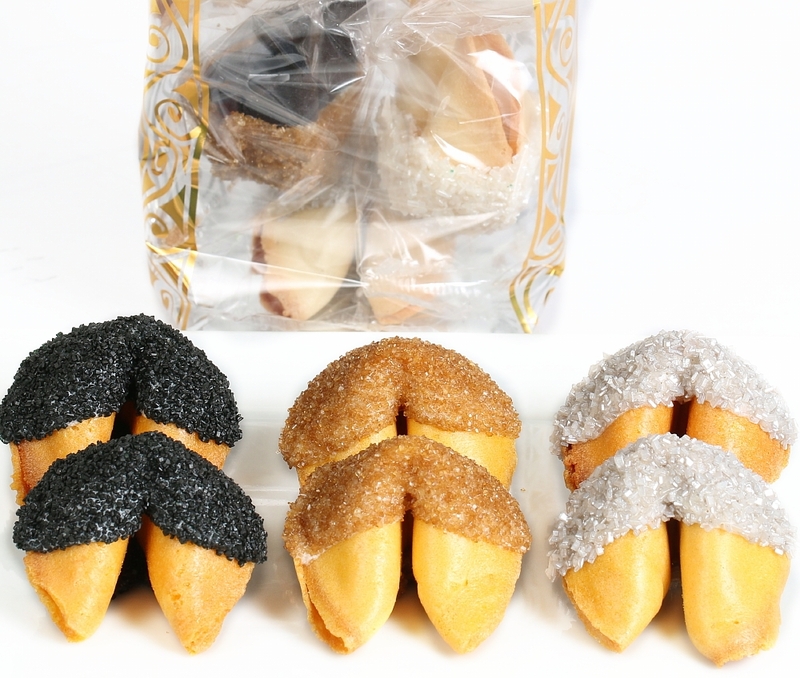 Each cookie contains a message of good fortune, so go forth and spread joy! At Fancy Fortune Cookies we use only the finest cocoa butter based Belgian chocolate. Each gourmet fortune cookie comes individually wrapped. These classic vanilla fortune cookies are hand-dipped in white chocolate and coated in black, silver and gold sugar bling. Certain to enliven any special event. Or send someone a quick gift to let them know you are thinking of them. Want to hand out a lot of gift bags? Call us for a quote on quantity discounts. 888-776-6611.